When I was photographing weddings, I became intimately familiar with our Northeast Ohio weather. I've lived here all my life, but had never really considered the small number of weekends we actually have during the good weather months until I was cramming as many weddings as possible into those few days. Our portrait photography weather is a little more forgiving, and often I find myself busy into November and the start of December with blustery, cold, bundled-up outdoor holiday portrait sessions. Still, those cold months are not the most friendly for baby sessions. 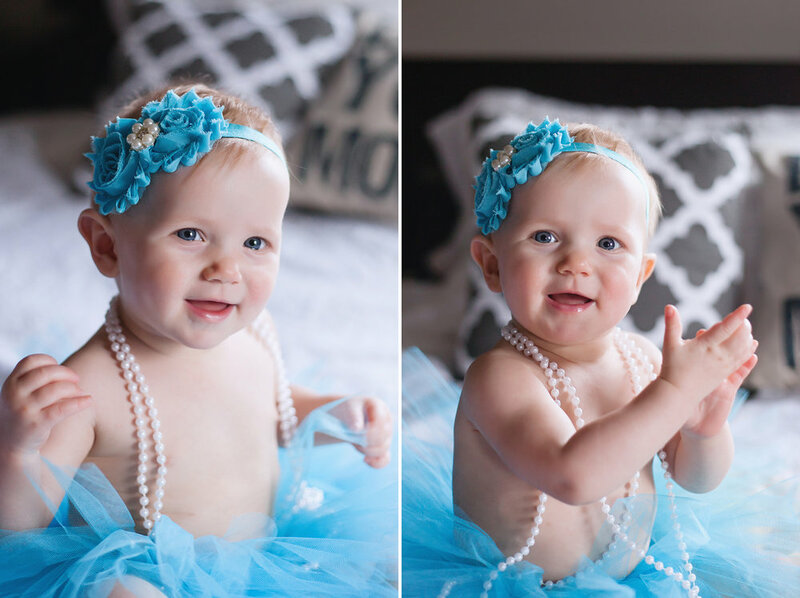 What do we do when your little one needs their photos updated? They're not going to stop growing and wait until the flowers bloom and the sun is shining! So we take the portrait session indoors, and a special kind of magic happens. Window light, especially when the ground is covered in bright white snow, is gorgeous. You don't need a wall of floor-to-ceiling windows to create beautiful images. Your house also doesn't need to be completely clean and put together! When I'm photographing a baby or child, all I need are small little pockets and corners of a home. 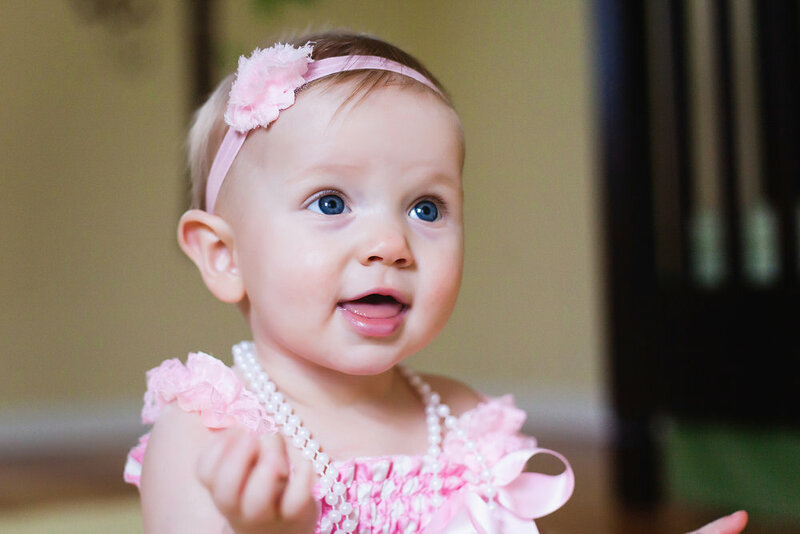 We'll grab a few of your child's favorite toys, or a special keepsake, and your portraits are even more special with that personal touch. 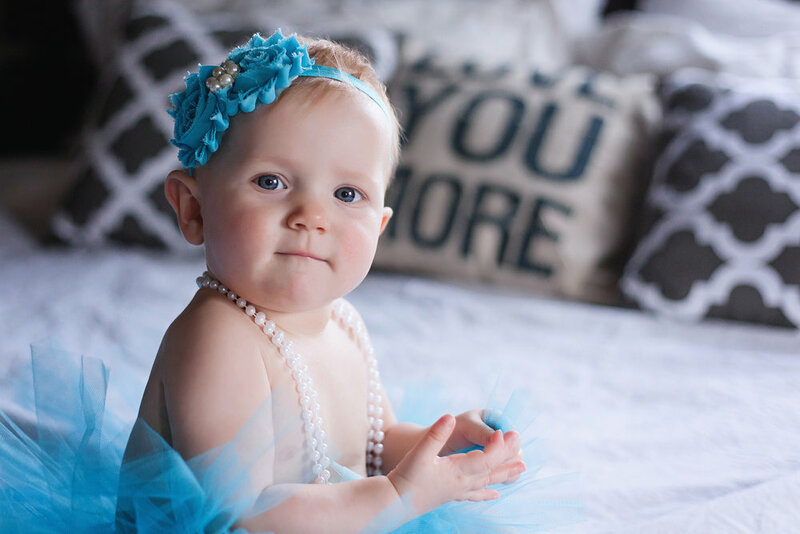 Over the next few days I'm excited to share with you a couple more sessions like the one in this post to show you how sweet an indoor at-home portrait session can be. If you'd like to book a portrait session, please contact me! You can also view my portfolio to see more of my professional photography sessions in Northeast Ohio.